Electronic Arts sent one-off download codes to select gamers this weekend as a gesture of gratitude for completing a recent survey. 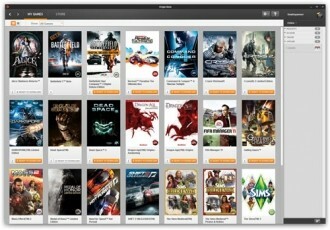 The code was supposed to allow recipients to download a free game of their choice from Origin but a flaw in the redemption system meant EA likely dished out hundreds of thousands of free games. The coupon code was reportedly good for $20 off most games on Origin but if you bought a game that cost $20 or less, it was free. Surprisingly enough, EA sent out a universal code which was the same for all recipients and it was soon discovered that anyone in the US and Canada with an Origin account could take advantage of the offer. If that weren’t enough, Reddit users somehow found out that you could get two games per account. The code could be used for one game on the website and for another title within Origin. All you had to do was check out at the same time. EA eventually caught on and revoked the code but not before a lot of people took advantage of the loophole. Titles downloaded include Crysis Warhead, Dragon Age II, Medal of Honor, Mass Effect 2, Mirror’s Edge and Shank 2, just to name a few. One has to wonder what EA was thinking in the first place by not sending out unique redemption codes. Furthermore, now that they have invalidated the code, will legitimate survey takers that didn’t get around to cashing in their $20 discount still be able to do so or are they simply out of luck thanks to the actions of others?